The Bay Horse Inn, Cramlington used to be our local pub until we moved a few years ago. 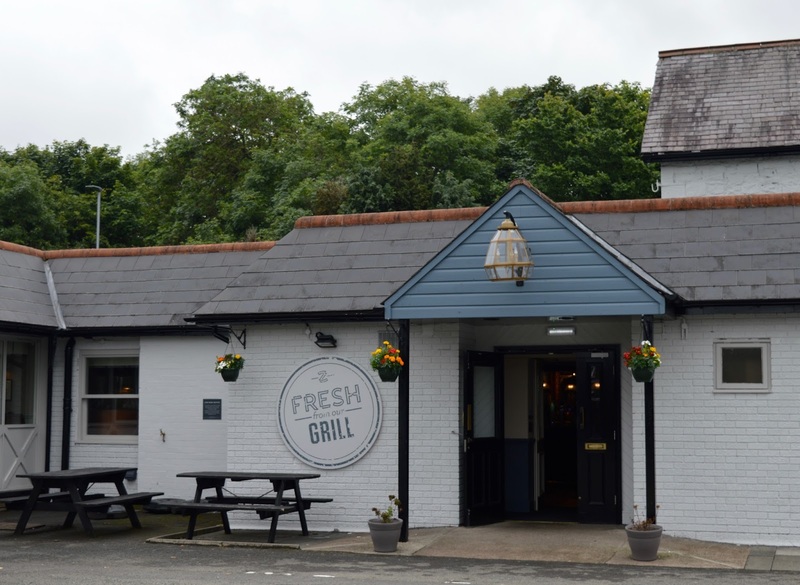 We still drive past on a weekly basis and it's one of our go-to places if we just want a quick and cheap meal out with no fuss that's local to us. You won't find hearty home-cooked food here but that's not what they claim to offer. 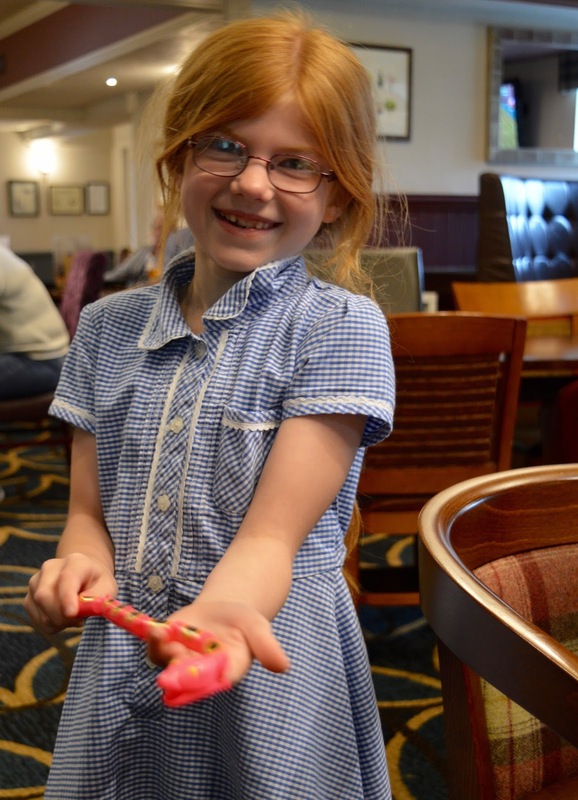 You will find a place that's nice to take the kids for a mid-week after school tea or weekend treat that's cheap and cheerful. It's also very convenient if you're looking for a place to enjoy a drink after a trip to the Cramlington Spoon! They've recently had a bit of a makeover and we were invited down to check out the pub's new look. 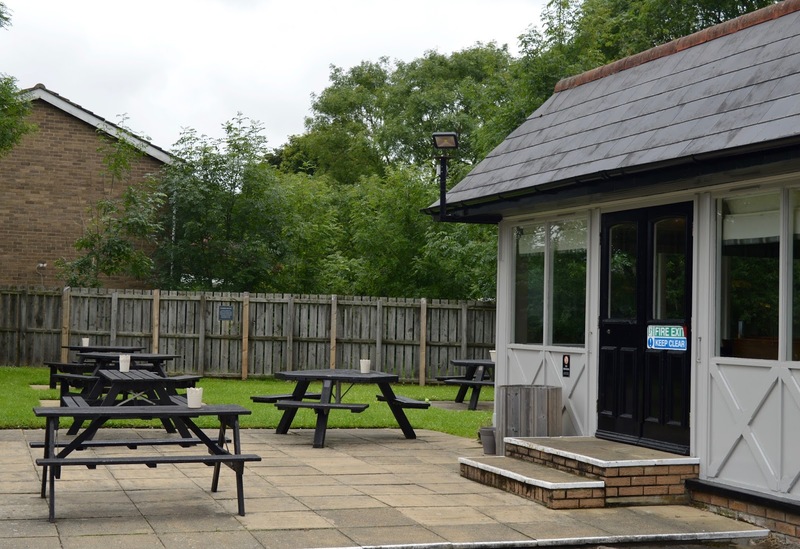 The pub's exterior has been given a lick of paint and there is a generous beer garden with plenty of tables. There isn't a children's play area but there is plenty of space for kids to run about and play. There's a decent sized car park too. 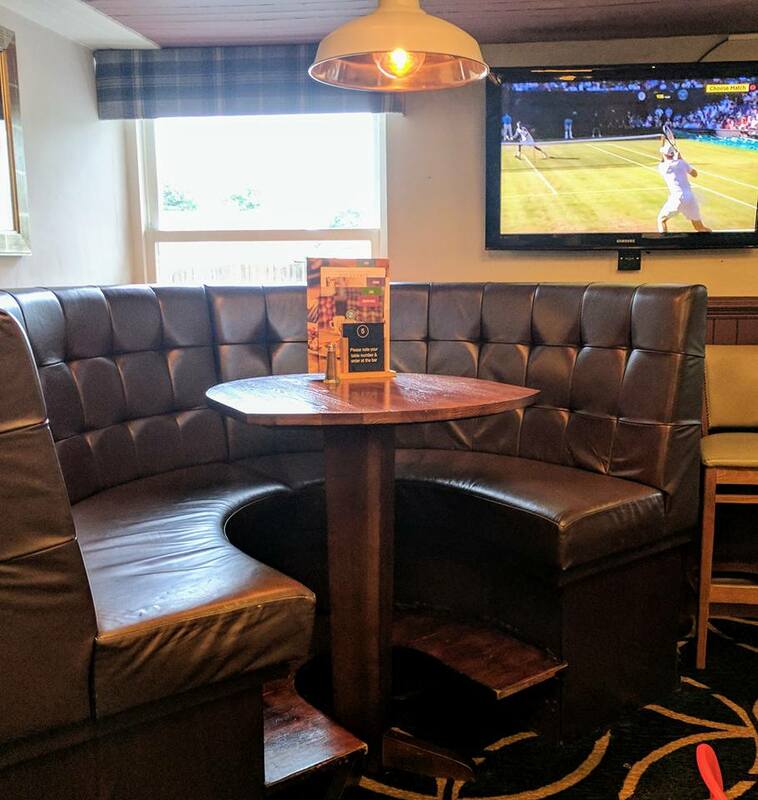 Inside, the pub is split into two sections - a bar which is always fairly busy and a more family-friendly lounge area. We grabbed a table next to the lovely fire in the corner that I bet is nice and cosy in the winter. The pub certainly looks a lot nicer now and has a more modern feel to it whilst still maintaining it's original charm. I told you it was cheap and cheerful! 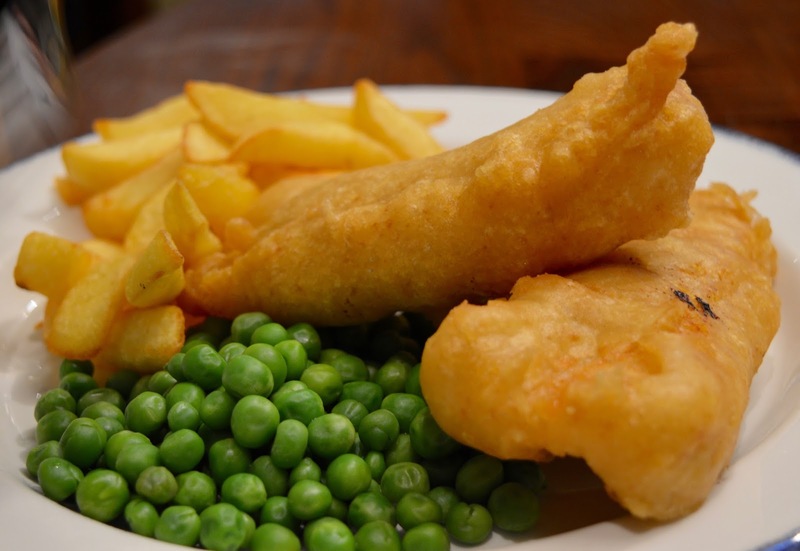 At the moment, the Bay Horse are running a fantastic offer where two adults and two children can eat for £10 (that's £10 in total) all day Monday - Friday. Dishes include fish and chips, gammon steak and sausage and mash. I doubt there's anywhere in Cramlington where a family could eat for this price - it's even cheaper than Wetherspoons! Find out more about the offers available at The Bay Horse here. We took our own MOKURU toy along as I wasn't sure there'd be much to entertain the kids but I was pleasantly surprised. 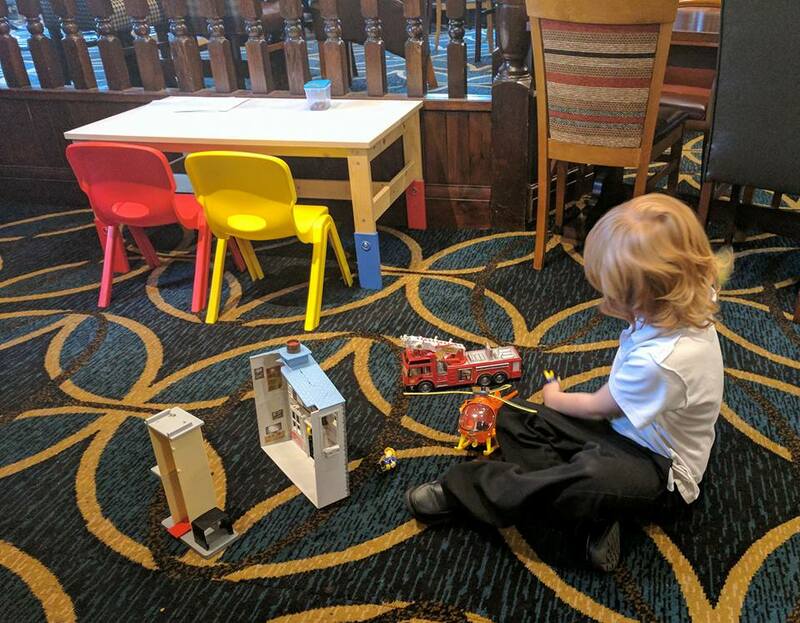 The Bay Horse has it's own colouring table and toy chest where you'll find a wide variety of toys including Fireman Sam. 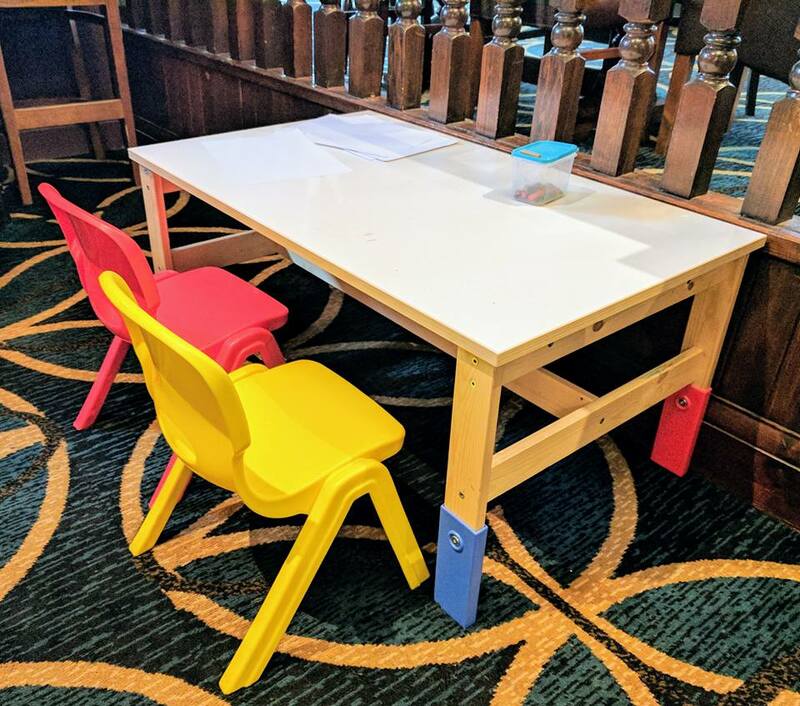 Children can help themselves and bring toys back to the table to play with. 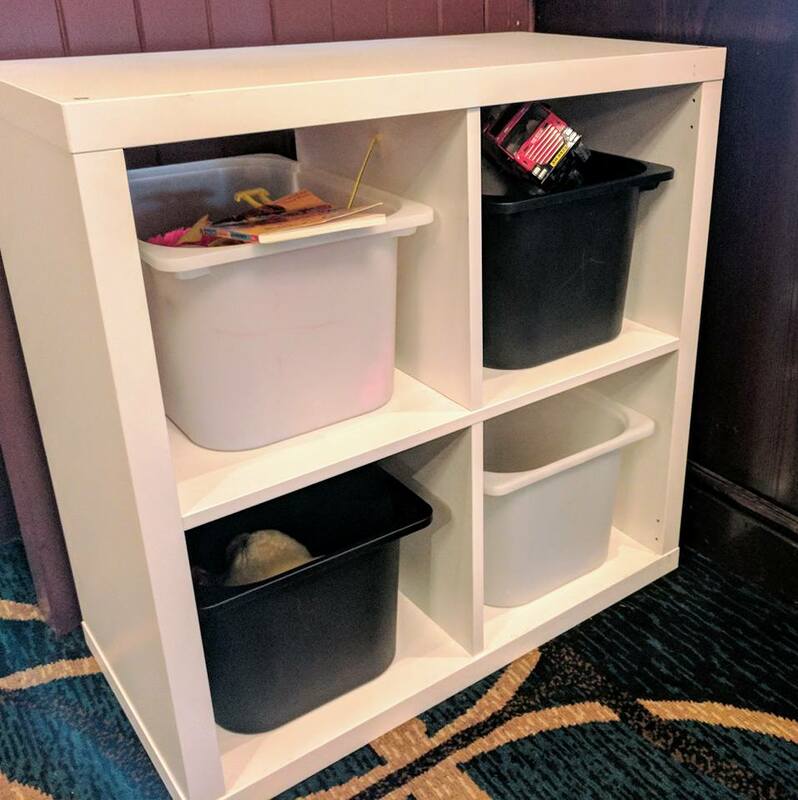 This area will be perfect for toddlers and younger children and will definitely be enough to keep them entertained whilst the grown-ups finish their drinks. 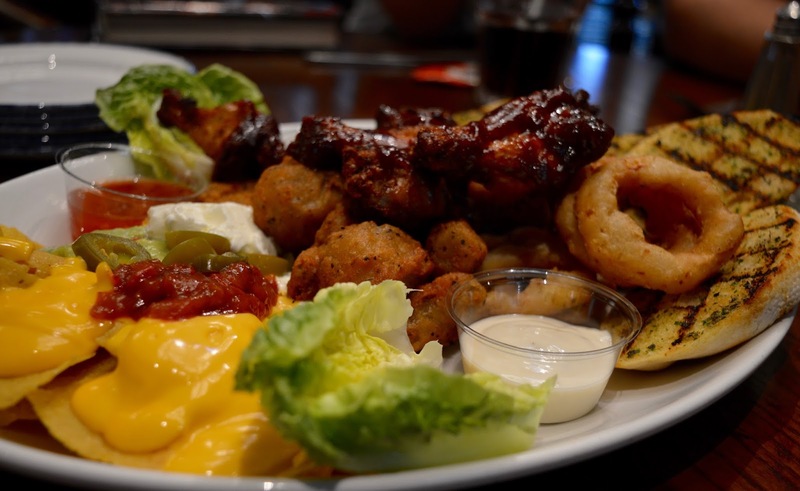 We decided to order a sharing platter to start as we were all starving and this was big enough for us all to share and featured lots of firm favourites such as nachos, chicken wings and garlic bread so was perfect to share with the kids. 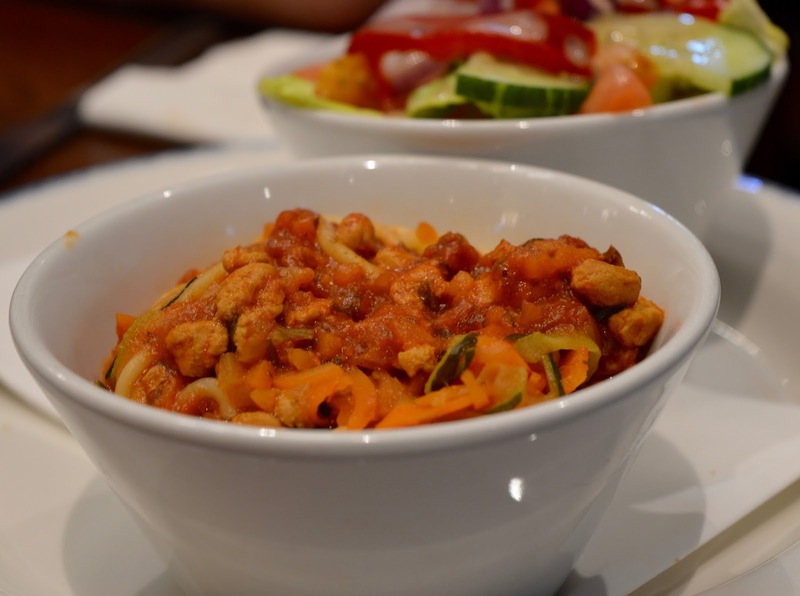 Children's meals are a bit of a bargain and priced at just £2.99 per main course. Heidi ordered a Turkey Spaghetti Bolognese which I was very pleased to see was served with lots of hidden vegetables and a fresh side salad. I'm not going to say this was anything other than a micro meal but for the price, it certainly provided good value and hit the spot. Jack ordered fish and chips (also £2.99) and I think he managed the bargain of the night. His portion was a lot bigger than his big brother Harry's BBQ chicken and he thoroughly enjoyed it. As a parent, I liked that there was a big scoop of garden peas on his plate. 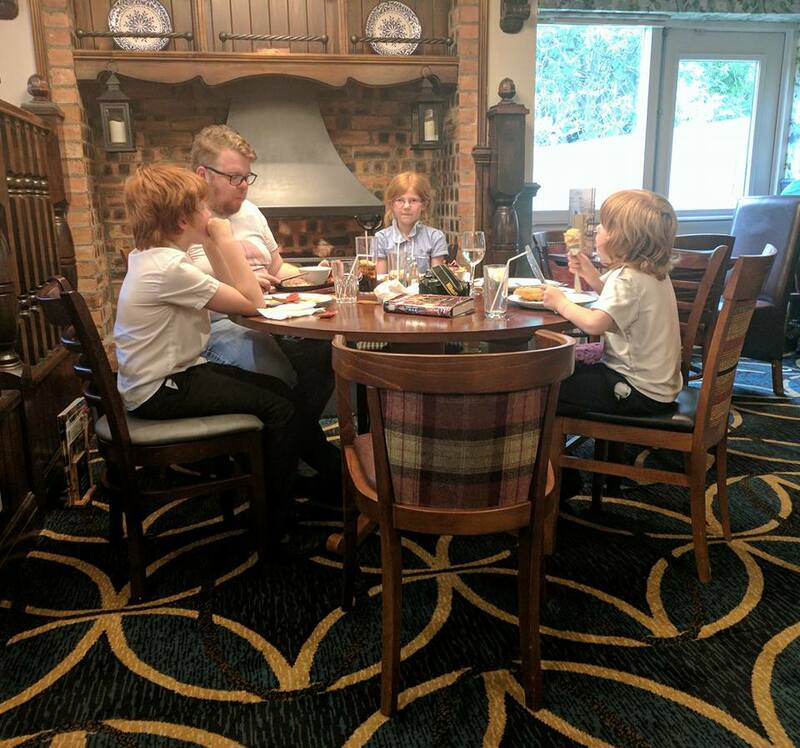 Next time we visit I will probably order Harry a grown-ups meal as his portion was small for him (he is nearly 11). Still a bargain at £2.99 though. The children's menu is pretty extensive with lots of choices including build your own wraps, pizza, Quorn lasagne and even Omelette. All mains include a side (from a choice of 6 including rice, new potatoes, chips, mash and jacket potatoes) and a portion of veg of your choice. For £2.99, kids meals honestly are a steal. 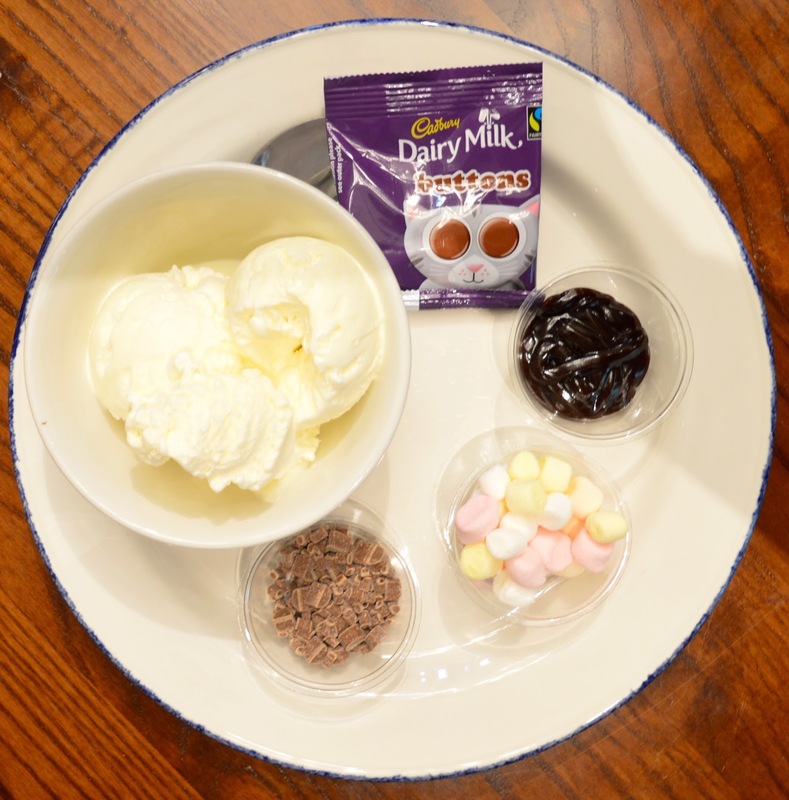 Children's puddings are a bit of a bargain too - priced between just 69p and £1.49, there's no excuse not to treat them. 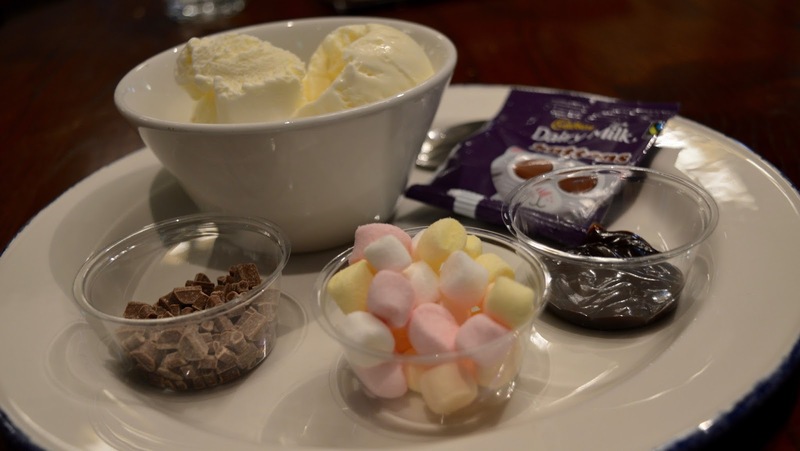 My three all went for 'build you own sundae' and for £1.29 they were able to decorate their bowl of ice cream with marshmallows, sprinkles, chocolate sauce and chocolate buttons. This made them very happy indeed. Honestly why do kids love messing around with their food so much? There are options available from as little at £3.59 but Steve decided to push the boat out with a mega mixed grill. 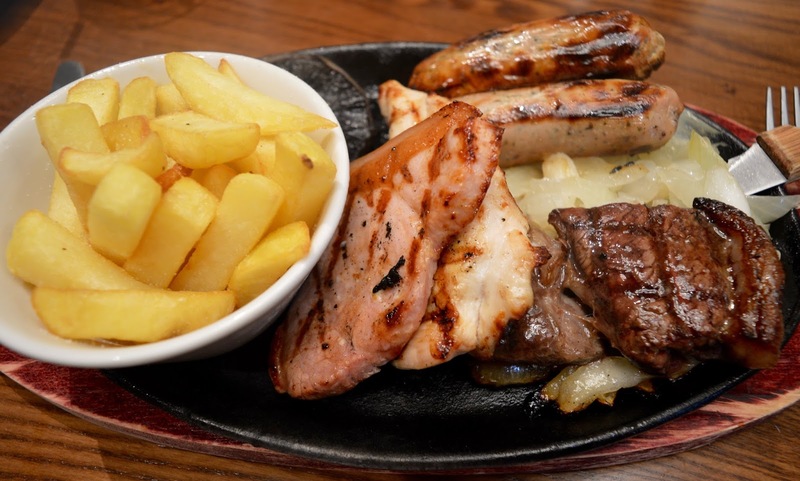 Priced at £11.29 this is one of the more expensive items on the menu but you do get a lot of meat for your money including a 5 oz rump steak, gammon steak, chicken breast, three pork sausages, mushroom, chips, tomato and onion rings. Steve just about finished it all. 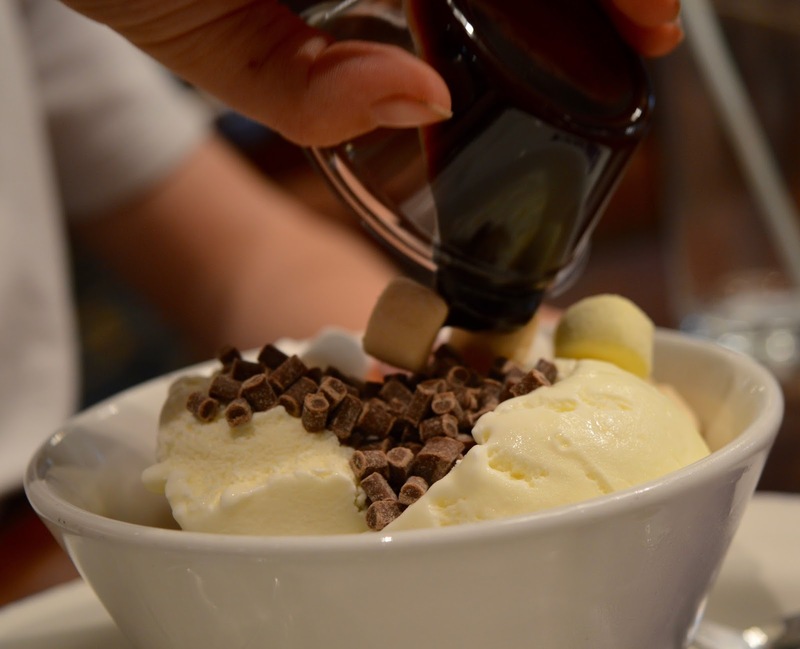 If you're starving, this is the dish for you. 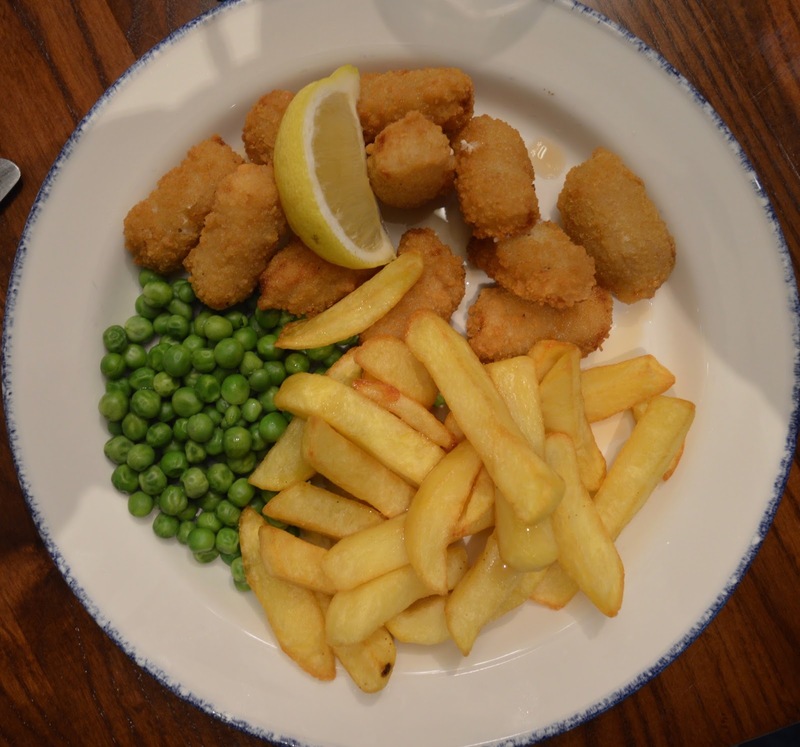 I could not resist Scampi and Chips - I seem to be a little obsessed with ordering this in pubs at the moment! 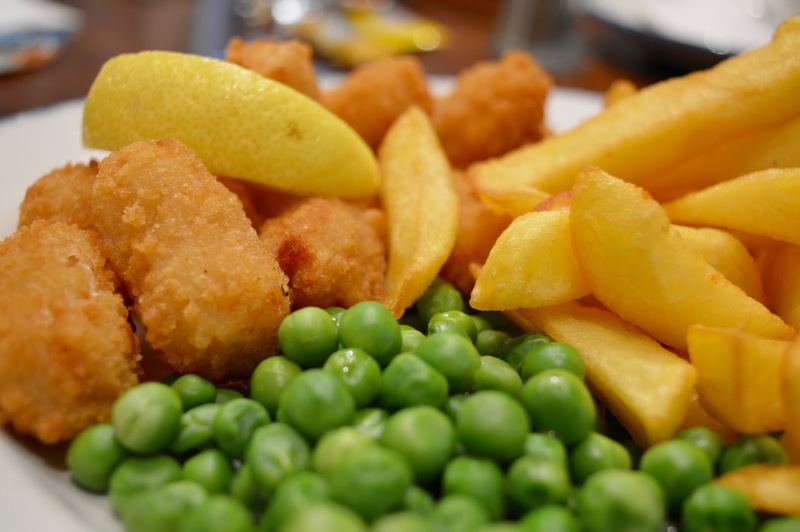 This will set you back just £5.99 and is generous with 9 pieces of wholetail scampi, a lemon wedge, peas and chips. You can help yourself to packets of tartar sauce from the counter. I will say that this version was not as nice as this version I ordered from The King George in Whitley Bay a few weeks ago (which for £1 more was served with homemade chips and tartar sauce) but for £5.99 it was perfectly acceptable and hit the spot. The thing is, the Bay Horse have their pricing spot on. You don't mind receiving frozen chips if you aren't paying a lot. 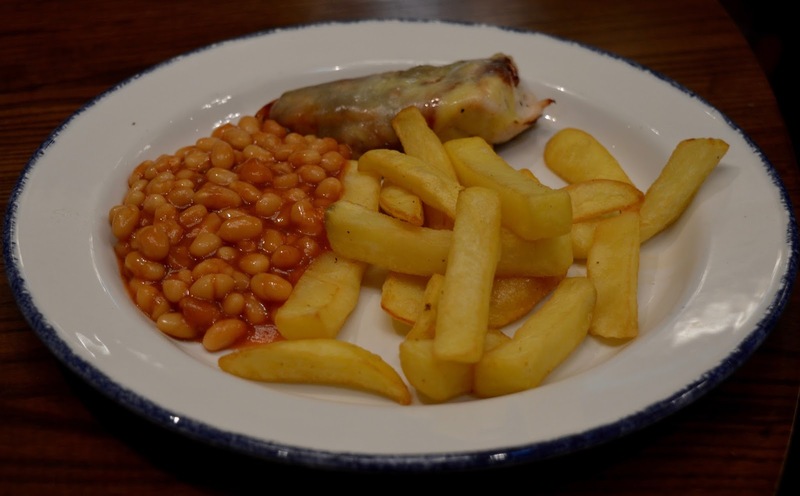 I recently visited a rival chain and was charged £22 for a meal that was served with frozen chips - this is when I start to get annoyed. A special shout out to the staff who were all friendly and welcoming and chatting with the locals and generally spending all of their time making sure everyone was happy. If you're in the Cramlington area and looking for a quick bite to eat that won't break the bank. The Bay Horse Inn is certainly worth checking out. Sign up here to receive £5 off your bill. Ahh I used to work there! The monday night quizzes were legendary! It's been long overdue a makeover to be honest and looks like they've done an amazing job!